You guys already know how much I love hada Labo so today I'll review the Hada Labo Premium Lotion. 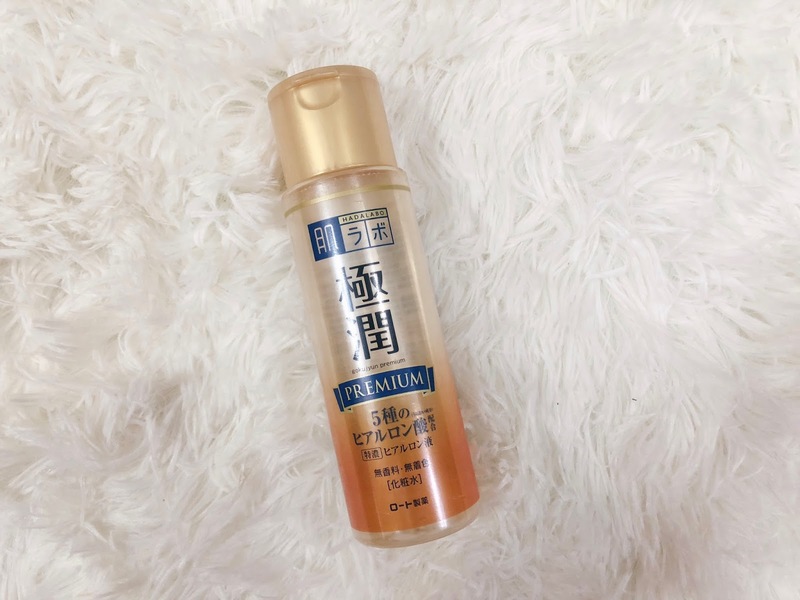 So this toner is basically more hydrating than the hydrating toner, that is why the name is premium kot haha. 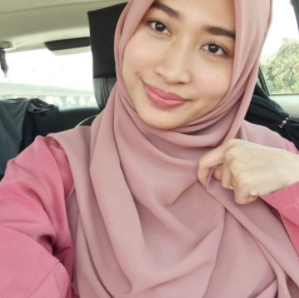 Although dia cakap 'lotion', it is not a lotion yang macam moisturizer tu. Japanese products memang panggil toner as "lotion" so this is toner tau. It comes in a 170 ml transparent squeezable bottle which is easy to dispense the product. Senang nak guna, tak selekeh and tak tumpah kalau bawa travel. Really convenient. Colourless, quite thick but it is not sticky. Absorbs quite quick and skin becomes soft and supple. Not greasy at all. I bought this during the Guardian sale for 40% off. Normal price is around RM69.90, I got it for only RM40++. So tips dia, survey dulu and beli masa sale sebab dapat jimat banyak. Normal price is quite expensive. Tapi biasanya Guardian/Watsons memang selalu ada je sale 20-30%. I've tried the hydrating lotion before and I suka. And then I dapat sample size of this premium lotion, I lagi sukaa. 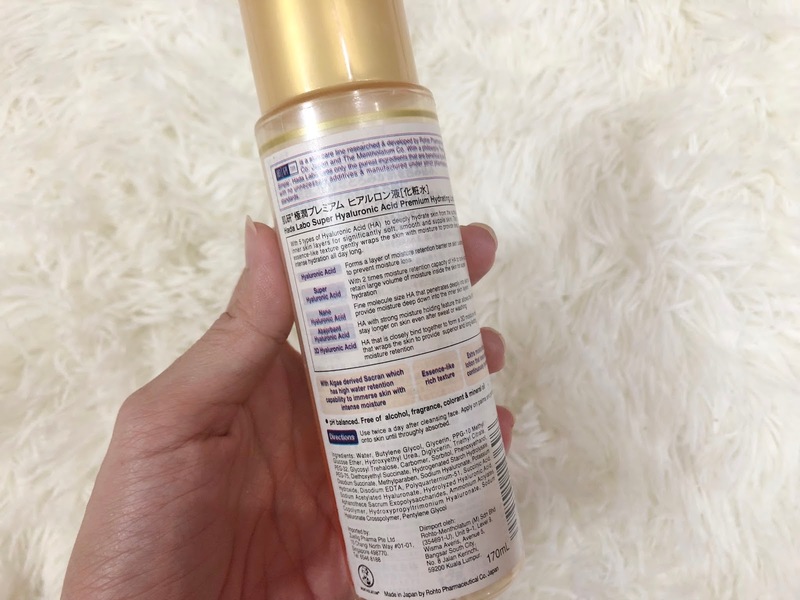 Beza premium lotion dengan hydrating lotion tu, yang premium ni lagi thick, macam essence. Hydrating lotion tu watery sikit macam air. So depends lah whats your preference. 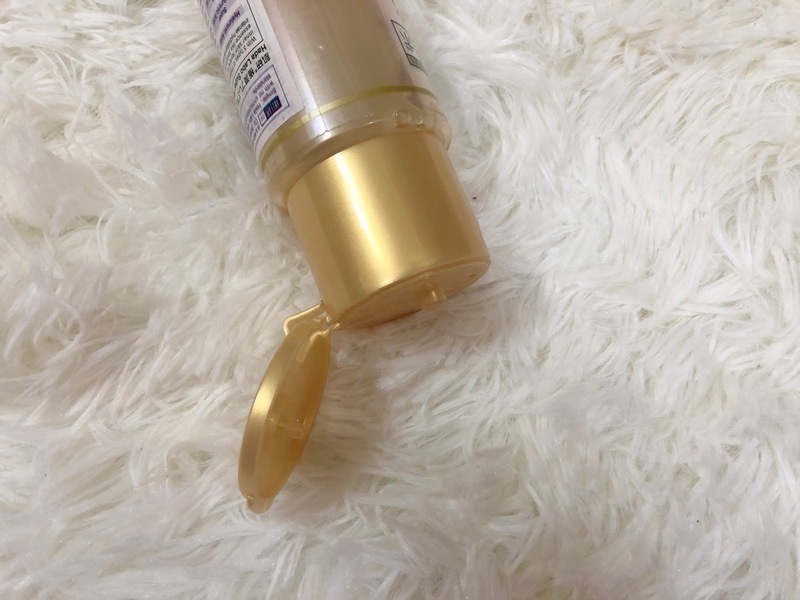 I like this premium lotion more sebab texture dia lagi thick and it really hydrating. Normally I pakai toner biasa, then pakai yang ni pulak for double hydration gituu. Lepastu pakai any serum yang I rasa perlu, depends on my skin condition and lock it with my moisturizer. Perfect enough for my dry dehydrated skin. I use this pagi petang siang malam. Ha gituuu. For hydration, this is so good! Everyone! Especially dry and dehydrated skin.